Sleep restriction therapy involves first restricting your time in bed to just the number of hours you’re actually sleeping. Then you gradually add time in bed until you find your ideal sleep window. Normally, this means starting therapy with a later-than-usual bedtime, an earlier-than-usual rise time, or both. If you’re new to sleep restriction, planning what to do in the run-up to a later bedtime may seem unnecessary. The first week you’re restricting your sleep you’ll probably feel somewhat sleep deprived. If even mild sleep deprivation is involved, passive activities like watching TV and reading can lead to nodding off well before the prescribed bedtime. This interferes with establishing a regular sleep schedule, which is one thing you’re trying to accomplish. The more you stick to your prescribed bed and wake times, the quicker the therapy will take effect. Devices with screens (computers, iPads, iPhones) emit blue light, which blocks secretion of the sleep-friendly hormone melatonin. It’s helpful to install an app called f.lux or wear blue-blocker glasses if you use devices at night. Even so, being wedded to the screen in the hour leading up to bedtime is not a good idea, especially for people with sleep onset insomnia (people whose insomnia occurs at the beginning of the night). Evening activities have to be quiet unless you live alone. Playing the saxophone may be fun for you but obviously not for other members of the household. Evening activities can’t require a lot of physical or mental stamina. By then you’re usually low in the tank. A walk outside might have appeal. But depending on who you are and where you live, it may not be safe to leave home after dark. 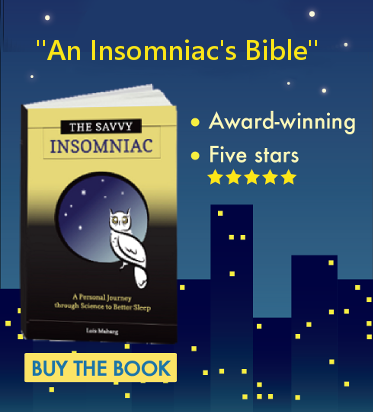 What to do in the run-up to bedtime can be especially challenging for sleep onset insomniacs, whose anxiety about sleep tends to escalate the later it gets. Clock watching adds to (or is a part of) that sleep-related anxiety. When undergoing sleep restriction there’s no getting around use of the clock for information about when it’s OK to go to bed. Waiting until anxiety sets in to decide what to do can be risky. A glass of wine? A sleeping pill? You’re off the rails before you’ve even begun. Why add stress to the sleep restriction process by waiting too long to decide what you’re going to do in the extra time you’re up? Take it from one who’s been there twice and who, knowing what she knows now, would do it somewhat differently. In the week before you start restricting your sleep (as you’re collecting information about your sleep and recording it in your sleep diary), come up with a list of activities you’re going to do when restriction begins, acquiring any supplies you’ll need in advance. Ideally, these activities should (a) be somewhat enjoyable (or at least tolerable), (b) offer mild mental stimulation, and/or (c) involve some movement. This list of activities is hardly comprehensive. But maybe it will motivate you to come up with other activities that would suit you as well or better. Needlework (quilting, knitting, crocheting, embroidery). Sewing. Lay out a pattern and cut the fabric. Any artistic activity, such as sketching or watercolor painting, as long as it doesn’t require much clean up. To-do lists and grocery lists. Travel checklists for different kinds of trips (road trips, air travel [overseas and domestic], business trips, camping.) Printed out before each trip, they make packing a lot easier. Gift lists. Avoid panic during the holidays and at birthdays and other special occasions. A bucket list. Think of everything you’d like to see and do while you’re still able to do it. Your music. If you have CDs, tapes, albums, or sheet music, arrange them by style, period, composer, or instrument. Your herbs and spices. Group them as powders, whole spices, and herbs, or arrange them alphabetically. The garage or the basement. Books. Do one shelf at a time, separating them into keepers, throw-aways, and give-aways. Clothing in closets and drawers. Old photos. Put the ones you want to keep into albums or photo boxes. Your walls. Take down wall art and replace it with other paintings, photos, prints, or posters. Your shelves. Replace pottery and art objects with others. Bake Cookies or a Coffeecake. Do prep work for the evening meal. Do a thousand-piece jigsaw puzzle. Get out a telescope, look at the stars, and identify constellations. Gather every small thing you’ve collected outdoors—flowers, nuts, leaves, shells, stones, feathers, pine cones—and look at them under a microscope. Cookbooks. Use a post-it note to mark every recipe you want to try out. Before you start to restrict your sleep, make a list of activities you’re going to do in the run-up to bedtime. And who knows? You might even enjoy some of that extra time awake. 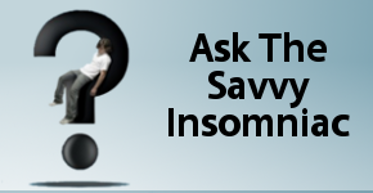 If you’ve gone through sleep restriction, what activity did you find was most helpful in keeping you awake till bedtime? Good list of activities! Low energy activity in low (incandescent) light. Adult coloring books seems quite popular right now. Thanks, Michael. I’ve heard about the adult coloring books but haven’t had a chance to check them out myself. They do make a good addition to this list!